Hello! My name is John Marine. Nice to meet you! Learn more about me by clicking here. Follow my blog(s) with Bloglovin'! Want to collaborate? View my media kit. John B. Marine | 6:11 PM | Commentary | Other Racing Games | Ridge Racer Be the first to comment! In Ridge Racer, two cars epitomize two different characters- the Crinale and the Angelus. Both are iconic for the franchise. I figure I discuss both machines in this blog post. While not a complete tribute, it is a fairly decent one to focus on both of these iconic cars of the Ridge Racer franchise. So welcome to "John's Race Space" and a look at these cars! The older of the two cars featured in this blog post is the car known today as the Crinale. This car began as the 13th Racing car in the very first Ridge Racer. The 13th Racing car had just about all of its specifications maxed out. Getting it, however, was a daunting task. You have to prevent it from passing you when you do later Time Trials. You will see the car sit on one side of the road. Then from your rear view or in Chase cam, you will see the car try to make a pass on you. If you let it pass, it will be near impossible to catch up to that car. In Ridge Racer Type 4, this car was known as the Lizard Nightmare, and it was a car you had to unlock through Grand Prix mode followed by doing the Extra races. This car in R4 was more like Ridge Racer's interpretation of the Batmobile. It somewhat has the look and feel of a Group C sportscar. To its credit, it was as devilishly fast as its devilish appearance. The Crinale namesake began starting with Ridge Racer V. Instead of it by American maker Lizard (which would later become Danver), it was by Italian manufacturer Rivelta. This car may have a different manufacturer, but its character remains unchanged. The Crinale still delivers ludicrous speed. Ever since RRV, the Crinale is still one of the most powerful and fastest machines in Ridge Racer games. It is almost as if you accept selling your soul to the devil to step into and race the Crinale. Now let's look at the other car for this blog post. Whereas the Crinale embodies devilish and evil character, there is the Angelus that is its antipode. The Crinale was a beast of a car in a black car. The Angelus has a positive persona being bathed in white. Despite being this heavenly car, the Angelus, for lack of a better term, is a devilish angel. This car began life as the boss car to try to win in Ridge Racer Evolution called "White Angel." It was even the car you could unlock in "Ridge Racer Hi-Spec." You could unlock this car as a Duel car in "Ridge Racer V." The Kamata Angelus was a car that had impressive handling to match its incredible speed. Starting with maybe Ridge Racer 7 or so, however... the Angelus started taking more of an unusual turn. It went from this awesome hypercar to this weird design you'd probably expect from Terrazi or something. Imagine a six-wheel concept car with a top speed of about 216 mph. "Ridge Racer 7" has the Angelus as this funky, futuristic car. The Angelus is still an amazing machine. Even if you are a good soul, you can bet this car delivers devilish performance despite its innocent guise. No one is ever always innocent or always good. This car still can be a devil. So now we know about the two cars. Angelus or Crinale: Who Would Win? It's the classic "pick a side" from the heavens. Would you sell yourself to the dark side and go with the Crinale? Or would you embrace Heaven with the Angelus? Would you have your soul consumed by the speed demon Crinale, or would you It's the sort of good vs. evil that would be a great Ridge Racer spinoff or even would make a decent movie or manga. Using what we know, the Crinale would EASILY win over the Angelus if we were talking about the two cars as of Ridge Racer 7. If the Angelus returned to being this jaw-dropping hypercar (like in Ridge Racer V), it would be the ultimate battle of good vs. evil as far as racing in Ridge Racer is concerned. You know these two would hold nothing back in trying to prove which is the better car. As a famous cartoon character would say, "that's all folks!" A car that could be like the Crinale has to be a car that is deceptively fast and imposing. So I would think about cars like the Ferrari FXX K or the Lamborghini Aventador. A car that would be like the Angelus has to be a car that is beautiful while also being exceptionally powerful. To me, my pick for a real Angelus would be either the Koenigsegg Agera or the recently unveiled Koenigsegg Jesko. Which car do you like better- the Crinale or the Angelus? Who would win if there was a battle between the two? What If: Gran Turismo Legacy? John B. Marine | 7:20 PM | Commentary | GT Legacy | Tourist Trophy | What If? Be the first to comment! "Legacy" is not a good word when something isn't dead. With that said, though, what would a legacy Gran Turismo be like? We think of a legacy collection as a way to remember something as it heads into its sunset. Gran Turismo is far from being "dead." Though, many could argue today's Gran Turismo Sport is not like any classic Gran Turismo title. One has to wonder what would be a proper sendoff or culmination of what all GT has brought to the proverbial table. It should be a collection that brings together elements from all Gran Turismo titles into one incredible package. Question is... how would you compile everything? How would one game compiling all of Gran Turismo be like? I have some ideas that I want to share in this blog post. Anyone who may be reading this and want to comment is (of course) free to do so. 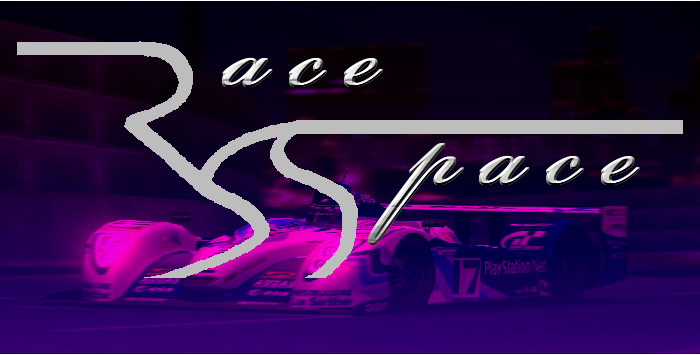 About the Label: "GT Legacy"
This post is a series here on "John's Race Space" which focuses on what a Legacy collection of Gran Turismo would be like. It is based on a number of factors, including vehicles, locations, races, and more. It doesn't mean Gran Turismo is "dead" with no chance of improving upon what it has already improved upon. However, it also is a look at what a proper Legacy collection of Gran Turismo would be like for future generations to remember what all Gran Turismo has done and how far the series has come. This Label may feature a number of different individual posts specifically mapping out how Gran Turismo should be remembered for years to come. Gran Turismo has been around 1997 and 1998. In its time, there have been a handful of items that made the franchise exciting, fun, and entertaining. Some other elements, sadly... not so much. A legacy package that combines elements of all of the past GT titles into one will have to be something that takes at least something from past GTs and brings it all together in a past-meets-present manner. Gran Turismo has always been an "Encyclopedia of Cars." These cars have ranged from real-life automobiles to tuned/fantasy models based on real cars. Everyone who has played through any and every Gran Turismo has had at least one favorite machine to tune and/or race. They are also aware of the various levels of tuning as well as being aware of all sorts of vehicles. • I still go insane on the notion that I took a Mitsubishi 3000GT (also called the GTO) and tuned it to be a 240 mph demon that just does nothing but win races in Gran Turismo 1. • I enjoyed racing both the Honda S2000 GT1 and the Toyota GT-One Road Car in GT2. And of course, I have to recall using that Suzuki Escudo Pikes Peak to dominate certain races. • I have enjoyed using the Formula GT cars that I unlocked. I also have enjoyed using the Toyota GT-One and the Mazda 787B in my time in GT3. I was even impressed with machines like the Gillet Vertigo and the Tickford V8 Supercar. • There were a number of street cars I enjoyed tuning in GT4. On the racing front, the Pescarolo prototypes and the Nissan R92CP are total beasts! I also enjoyed the Honda S800 Race Car, the Suzuki R/4 concept car (when tuned to the max), the Toyota RSC Rally Raid Car, and the Toyota Tacoma X-Runner. • Seeing the debut of Ferrari was great, as I enjoyed using my Ferrari F430 in GT5. There were some great times using my tuned Lotus Evora also. The Red Bull prototypes were totally unreal and awesome. It was also a joy to try out the different go-karts in GT5, though I would loved a superkart experience as well. As a first for the series, you can use paint colors from your cars to paint over automobiles. So if you want to replace that boring green color on your car to a crimson red color, you can do just that as long as you have the proper paint color in your collection! • I thought it was amazing in GT6 to take the already fast Pagani Huayra and make it even faster with some power upgrades. 260+ mph never seemed so scary in such an amazing supercar. Also, this is the first Gran Turismo to offer Base Model racing cars for you to race and paint. These Base Model cars can be painted up using various paint colors in your collection. And unlike in GT5, any color you have in your collection could be used for any car that can be re-colored without worrying about buying some car just to have a copy of that same color. This game had all kinds of unique vehicles- even including a Lunar vehicle and the controversial Deltawing race cars. • I think Gran Turismo SPORT is a dream game in regards to compiling a series of racing vehicles in its own racing world. A number of real and fantasy machines in GT games have helped shape each one equally. While it is mind-blowing to imagine all the various vehicles that have graced the Gran Turismo realm, it would be equally interesting to imagine combining as many past and present machines into one package. This even includes wondering modern interpretations of past vehicles. For example, would you ever wonder what the Honda Civic Del Sol LM Race Car be like? What about the Toyota Chaser LM from GT1? Maybe you wonder what the Mazda RX-7 LM Race Car would look like if given a modern makeover? Maybe you'd love nothing more than to race the Renault Espace F1 around the Nürburgring Nordschleife. You also have to take into consideration damage modeling, interior design, and things like that. You could even see modern variations of Racing Modified cars. So instead of seeing certain liveries restricted due to copyright issues, you could see more accurate versions (granted they are not alcohol or tobacco or sports betting companies) of racing liveries. A Legacy collection would even open the possibility of driving certain cars previously not included in past GT titles that could have been raced for their time. One example could mean you could race a Ferrari convertible or Porsche convertible in the Spider and Roadster races. A more interesting example would be being able to race the old Lamborghini Diablo GT from the Japanese Gran Turismo 3 well before Lamborghini properly entered the Gran Turismo realm starting with Gran Turismo PSP. Perhaps imagine if you were doing Gran Turismo 1's style races, you could race the KTM X-Bow or the Light Car Company Rocket! No Gran Turismo experience is ever substantiated without quality venues to compete in. Gran Turismo's location appeal became twofold once GT4 introduced Photo Mode. A number of courses evolved in subsequent versions of Gran Turismo. So let's look at Gran Turismo's legacy in regards to locations. • Since GT1 was a relative unknown, we were first introduced to the world of Gran Turismo through a lot of the different venues. Some of the top-level venues were High Speed Ring, Grand Valley Speedway, Special Stage Route 5, and Special Stage Route 11. Trial Mountain and Deep Forest Raceway shown to be tough tracks as well. Autumn Ring and Autumn Ring Mini also became fan favorites. • GT2 was the first to feature licensed tracks and actual locations. Rome Circuit and Seattle Circuit offered a nice view of the world. Grindelwald was the first Swiss venue in GT history. Laguna Seca Raceway became the first real-world race track featured in the series. Other favorites of the fictional variety include Red Rock Valley Speedway and Motor Sport Land. Also, GT2 was the debut of rally racing, so that added to the appeal of locations. Great tracks like any of the Tahiti courses and Smokey Mountain North were some of the better off-road venues. Albeit abbreviated, you could also race the iconic Pikes Peak Hill Climb either uphill or downhill. • GT3 was unique in featuring some tracks on wet tarmac. The game featured the first real-world temporary course when Cote d'Azur was featured. Cote d'Azur is basically GT's version of the streets of Monte Carlo, home to the Formula 1 Monaco Grand Prix. Swiss Alps was a great off-road course that debuted in GT3. This game also featured Tokyo Route 246, even including Polyphony Digital's headquarters before moving from Tokyo to Fukuoka. This game also included a challenging fantasy course called Complex String. It was more a test track than a practical race course. • Gran Turismo 4 is important location-wise in having a combination of racing venues and non-racing venues. To me, GT4 had more of a "see the world" aspect to it. So this game had a combination of real and fictional courses. El Capitan was one of my favorite courses in GT4. The course based around Yosemite National Park was a great course. MotorLand was a great short course. A handful of city courses made up GT4, ranging from urban locales to Old World style cities. New York was the main attraction in GT4's development. At the same time, Citta di Aria and Costa di Amalfi were both intense challenges on their own. You could even race in Hong Kong and Seoul among others. For the first time in series history, venues on snow and ice were featured. You can race around Ice Arena and Chamonix if you fancy snow and ice locales. Most important to a lot of people location-wise, you could race Circuit de la Sarthe as well as the Nürburgring Nordschleife. These are two historic and long racing venues. On the Photo Mode front, you can take pictures of your cars in any of the different race tracks. However, you can also visit a variety of real-world locations to flash pictures of your vehicles. You can visit locales like Las Vegas, New York City, Boston, and Venice among other places. • Gran Turismo 5 had a combination of real world and fictional courses, but it also offered certain environments used in the creation of custom race tracks. Sadly, none of the classic off-road locations from GT4 returned in GT5 (I am NOT counting the newer Chamonix). The creation of race tracks with certain environments made for a very interesting rally racing experience in GT5. Race courses could even be raced on in different times of day and/or with weather conditions. This added to the appeal of racing certain locations. A lot of the classic Gran Turismo venues either didn't show up or didn't take advantage of the newer time and variable features. You could still photograph your cars in a variety of settings, but there were significantly less Photo Mode venues in GT5 than in GT4. • Gran Turismo 6 offered the first-ever Australian venue with the inclusion of Mount Panorama Circuit. Environments return for custom tracks in GT6, but away is the rally aspect of GT6. Later in GT6's development was a fictional course called Circuito de la Sierra, a lovely long course utilizing the Spanish countryside. You can even race around a track in a sports arena with GT Arena. An interesting perk of GT6 was how it had proper star locations from star charts at night. As for real locations, you can actually race on the moon with the Lunar Missions. • Gran Turismo Sport offers a great variety of different racing facilities. However, it is disappointing a lot of the classic and original racing locations- such as Grand Valley Speedway and Special Stage Route 5- are missing. Even different versions of certain locations have evolved and have character different from other variations. Take High Speed Ring, for instance. High-Speed Ring was a very nice circuit in GT1 and GT2. When GT4 came out with this course, High Speed Ring had some newer water sections as well as a little bridge. GT5 made things a bit more beautiful for this course. Let's look at a GT Legecy in regards to different competitions. • All of the competitions are pretty much basic circuit racing. You can practice, qualify, and race on just about any course. The Test Course was available to test acceleration and top speed. Spot Races allowed for quick races without needing a license. Races last anywhere from two to five laps. A lot of the races allow you to compete in almost any trim. Some races, however, have certain rules. Some series prohibit the use of Racing Modified cars. You can even race three different Endurances. As long as you can make the time to run the Endurance races, these are great to compete in. • Gran Turismo 2's race structure had a number of races restricted by horsepower. There were far less championship series in GT2 compared to GT1. You could not simply enter any car you want. You have to make sure you had a car that did not exceed the horsepower requirements for races. Tone down the horsepower as much as you can to compete in certain races. Rally racing is simply a one-lap time trial against a ghost driver. Beat the ghost, and you win! This game also debuted One-Make Series. There are races that require you to have a certain car for which to compete in one race on a random track. Some Race Events require your car have a Racing Modification to compete in another race. You can not use a Racing Modified car in a Normal Car Race. Watch the Demo events to get an idea of what cars you can use for these Race Events. • Gran Turismo 3 is fairly exclusively circuit racing. You can now save in Championship Series. So maybe you can work to try to win all of the races by being able to Save when you like. GT3 rallying is done in one-on-one, wheel-to-wheel racing. You even can run in a race on wet tarmac for the first ever time. Even the first timed endurances in series history is in this game. • Gran Turismo 4 has a number of great races to choose from across a number of categories. Different individual halls of racing offer different racing experiences. You can even run one-off races as well as certain photo drives. Controversial to GT4 was that of B-Spec races, which many have said is the game playing itself for you. • While Gran Turismo 4 was to promise online play, it never had proper online play. Gran Turismo 5 had a level system that allowed you to race certain events and own certain cars. You can race a number of events, even being able to do in-race saves for longer racing events. B-Spec returns, but you now can be like your own team owner to raise B-Spec racers as quality racing talent. For what seems scarce for racing events in GT5, you can do many more styles of racing online. There are a lot of special series and events you can take part in to get into many more styles of racing with many more styles of cars. You are racing machines in Special series ranging from go-karts to the unreal Red Bull prototypes. Besides circuit races, you can compete in Time Trials and Drift Trials. Compete in Seasonals offering a variety of races for a good amount of prizes. • Gran Turismo 6 is a lot more restrictive in letting Performance Points (PP) limit a lot of the races. So you can't use your Le Mans Prototype to defeat Kei cars or sport compacts. This means that at least the official style races are more competitive. A lot of the different race types and such from GT5 have carried over into GT6. However, GT6's races have seemed more dumbed down than GT5's races. • The use of classes for Gran Tuurismo SPORT bunches up the different cars into a nice assortment. How the classes are handled are unique in their own right. These designations allow for interesting races of the original and custom race varieties. You can be rewarded or admonished based on maintaining a certain Safety Rating. Racing foolishly and constantly making driving errors can hurt your Safety Rating. Good driving and practicing proper racing skill will help your Safety Rating. So you are best served to drive professionally and properly to get the best results. GT SPORT has mostly been online-exclusive until providing more offline races. GT Legacy: Sounds and Music. I am not making any serious concentration towards things like music. However, the music and sounds of Gran Turismo are as much of the character of Gran Turismo as any other game franchise. Some people consider sounds as the weakest link of the Gran Turismo series. Sounds began to improve ever so much as future iterations of Gran Turismo came about. With music, there is no denying there is something for everyone. Most people will usually fancy rock music more than any other genre of music for any game, let alone Gran Turismo. A lot of others love some good electronic dance music (myself included). However, Gran Turismo games have offered a lot of classy style music with its jazzy musical offerings. It also excels with wonderful lounge and chill music. While a lot of people may argue racing/driving games shouldn't have jazzy or chill style music, you can at least appreciate their presence in a Gran Turismo game. Most people will immediately hark towards composer Daiki Kasho for a majority of the more memorable Gran Turismo songs. It was Gran Turismo 4 that debuted classical style music. Though mostly, these Classical songs were slightly remixed and modern pieces so they don't seem too much like study music. Gran Turismo 5 was the first Gran Turismo to allow for your own playlist of music to be used in menus and races. So even if you don't like the music provided to you in the game, you can always listen to your own music. It would be possible to combine some of the most popular songs from Gran Turismo games into a GT Legacy collection. You could even incorporate favorites from "Tourist Trophy." It would be an amazing compilation to have at least some of the most popular songs from Gran Turismo games past into a Legacy collection. So you could be racing the modern Deep Forest Raceway listening to songs from Gran Turismo 1 or Gran Turismo 2. The music could range from get-you-going songs like "Lose Control" by Ash in Gran Turismo 1, all the way to even include the baby-making or night-of-passion song "Farewell" by Satoshi Bandoh. GT Legacy: Tuning and Features. Over the course of Gran Turismo's existence, tuning and various features have helped shape the series to what it is today. As the series matured, the level of tuning and the accuracy of featured models became more meticulous. So what tuning options were great for Gran Turismo 1 wasn't going to cut it for realism with Gran Turismo 4. In addition to tuning options, different factors including the environment and certain damage modeling greatly impact how a vehicle performs in a Gran Turismo game. Remember how you could get away with running Super Soft tires in non-endurance races in Gran Turismo 1 and Gran Turismo 2? Well, those tires won't work too well in non-endurance races in GT3 on out. Piling on horsepower will make you go faster, but your vehicle may not be able to perform very well in future GT games. That's why your Mitsubishi GTO/3000GT with a Stage 4 Turbo in GT1 may not be up to snuff against Le Mans Prototypes or even high-end GT racing cars from future GT titles. Gran Turismo Legacy... What About the Motorcycles? There was a reason I didn't mention "Tourist Trophy" in regards to Gran Turismo's legacy. The simple reason is because Tourist Trophy is its own game outside of the realm of Gran Turismo. I questioned long ago the future of motorcycles in the Gran Turismo realm. If Gran Turismo wanted to encompass their cars as well as their motorcycles into one collection, then this "Legacy" collection will need to include Tourist Trophy, unless Polyphony Digital may somehow want to revive Tourist Trophy and give it new life. That is why I labeled a section as "Vehicles" and not exclusively cars. If Polyphony Digital wanted to try adding motorcycles, it will need to include various motorcycle-specific courses. For example, including Suzuka Circuit into this GT Legacy collection would mean including the motorcycle course for which the Suzuka 8 Hours endurance race takes place on. Cars could even race a motorcycle configuration if one wants to race on a motorcycle course. Tourist Trophy even had Valencia (Ricardo Tormo Circuit). It has never been featured in a Gran Turismo. What if "Gran Turismo Legacy" Had Motorcycles? A few things would need to change to update the formula. For one thing, you could buy motorcycles and tuning parts rather than try to win them in Challenges. You could also purchase rider gear rather than unlock them. While the roster of motorcycles in Tourist Trophy is impressive, it SERIOUSLY would need an update to feature a lot of today's motorcycles. There are a lot of fine motorcycles out now compared to Tourist Trophy's 2006 release. For example, we have newer machines such as the updated Honda Goldwing and the Ducati 1299 Panigale R. There could even be vintage Vespa scooters that could be featured. They may even try to incorporate supercross, motocross, and supermoto with various dirt bikes. If PD wanted to, they could even include tricycles and even UTVs. Heck- even Forza Motorsport 7 has the Polaris RZR Spec! Having these additions would only improve Gran Turismo's impressive lineup of vehicles. This blog post was mostly meant to be a post to introduce the concept of a Gran Turismo Legacy. To build a proper post and look at this topic, a number of different topics and talking points have to be mentioned. Anyone who has followed this blog knows I try to follow everything as detailed as possible. So to that end, I did all I could to try to post as many different opinions and talking points as possible. If you would like to contribute to a look at what a Gran Turismo Legacy game would be like, then feel free to offer your thoughts here. I will be working with this topic as much as I can with topics under the "GT Legacy" label. Until then, I hope you enjoyed this blog post. I am grateful for all of the support I get from the greater public-at-large. Thank you for reading! Take care and be well. No comments: Links to this post Labels: Commentary, GT Legacy, Tourist Trophy, What If? John B. Marine | 1:07 AM | Other Racing Games | Reviews Be the first to comment! NAMCO provides 3D Grand Prix motorcycle racing with 500GP. Officially licensed by the FIM (Fédération Internationale de Motocyclisme), this is two-stroke, 500cc motorcycle racing in a series that would later become MotoGP. Feel the rush of 500cc racing superbikes in FIM World Championship style action. You will rocket down straights and lean into corners against some of the world's finest Grand Prix motorcycle racers. This blog post prepares you with a look at this game as part of the FIM World Championships. NOTE: I had a hard time trying to name this as either 500GP or GP500. The title is either 500GP or 500 GP. I will use "500GP" as the name of this game. Released in 1998 by NAMCO, "500GP" has you racing on three intense race courses in you trying to prove you are the best motorcycle rider in the world. Three tracks in three nations on two continents will test you to the very core. Pick from one of three different manufacturers to compete in some intense racing action. This is a game with FIM licensing. This level of 500cc motorbike racing would later become the series we know as MotoGP. So this is a pre-MotoGP game. There are a number of real-world racers at the time, such as Carlos Checa and Alex Barros. You could link extra units of this game for some great link racing. Up to four 500GP arcade units can be linked together for a wild motorcycle racing experience. One important thing to note is that you can lean into the corners for handling, but you must also tuck down when down straights to cut through the wind better on your motorcycle. The arcade unit detects these inputs to help deliver an authentic motorcycle racing experience. I think you are able to race as any of the real-world racers if you so choose. This game features three real-world race courses. • Suzuka Circuit - a technical and challenging Japanese Grand Prix course. • Circuit Paul Ricard - a technical, mostly flat French circuit with plenty of paved runoff roads. • Jerez Circuit - a technical and fairly fast Spanish circuit. Now on to the meat of the action. You can choose to run Time Trial or Extra Lap modes. Time Trial has you hot lapping the courses to try to post the best lap times. Extra Lap Mode is about racing against the opposition to try to win the race. Counting your entry, there are 17 motorcycles that race on the track at once. So you will be kept fairly busy. As this is a motorcycle racing game, you must demonstrate your ability to race a racing sport bike. So you must lean in corners to properly turn while also using the brake. Additionally, you must duck down to streamline your riding while at speed. Also, make sure not to have head-on crashes- you will surely fly off of your bike in the event of serious impact from a motorcycle crash. You will have to basically think like a proper motorcycle racer here in this game. Try to win the race while also making sure to complete the race within the time limit. Your riding skill will be judged once you complete the race. You will receive grades based on a number of different performance factors. Those factors include fastest lap time, corner out speed, and course riding percentage. Think you can handle the pressure of being a Grand Prix motorcycle racer? The dynamics and style of "500GP" lends itself to an incredible motorcycle racing experience. Though I never played or seen 500GP, it delivers one of the most intriguing motorcycle racing experiences. I don't think anyone will be disappointed with what 500GP has to offer to fans of Grand Prix motorcycle racing. So what do you think about "500GP" after reading all of this and seeing the video? This concludes another blog post of mine. Perhaps now you know of "500GP" if you haven't previously known of it. Thank you for reading! Take care and be well. John B. Marine | 4:12 PM | Other Racing Games | Reviews Be the first to comment! While Ridge Racer is well known, NAMCO's Dirt Dash is little-known. Dirt Dash has on-road and off-road racing in a competitive five-stage race. It is an insane racing experience ready to rack your brains and test your skills. So get ready to take on the insane action Dirt Dash provides! Dirt Dash challenges racers to complete one lap around one massive level with five different sections. Each section is of varying difficulty. You will be racing continuously from the starting point you choose until you clear all five stages in a one-lap race. Pick a vehicle and get ready to test your luck and skill. • City (Very Easy) - a fast and easy romp through the city. All tarmac. • Hill (Easy) - undulating and narrow tarmac roads await you here. • Jungle (Normal) - race through a dense, dark jungle. • Mountain (Hard) - jumps and treacherous dirt roads define this section. Watch out for falling rocks later in the stage! • Snow (Very Hard) - try to navigate these difficult roads with snow falling and a lack of traction. Some of the sections have shortcuts. If you know where to look, you can take these shortcuts and get both an unfair advantage and shave off seconds of your overall time. All of the vehicles the player can choose from ranges from buggies to cars to trucks. Each machine offers varying levels of difficulty in performance characteristics. They are all also fictional cars, by the way. Gameplay consists of seven vehicles on the track at once (including yours). An on-screen indicator lets you in on any upcoming hazards as you're racing around the track. You must clear the checkpoints to extend your run. Other than that, this game is fairly straightforward as a racing title. You win the game when you complete one full lap around the entire course from where you started and clear all five stages. You will coast once time expires. Hopefully you can cross a checkpoint in time when coasting! This post is over. I hope you get to play and enjoy Dirt Dash if you ever get a chance to. Thank you for reading! Take care and be well. John B. Marine | 2:35 PM | Other Racing Games | Reviews Be the first to comment! The sequel to "Ace Driver" is "Ace Driver: Victory Lap," released in 1995. This futuristic style formula racing game brings back all that made the first game great by adding to it and with a more challenging experience. Are you ready to take on this new challenge and do whatever it takes to make it to Victory Lane? The 1995 title "Ace Driver: Victory Lap" is the sequel to "Ace Driver." In it, the futuristic style returns and is enhanced. You now can choose from a number of courses (3) to race on in this game compared to in the first Ace Driver game. If you played or seen the first "Ace Driver," then you know what you can expect in this sequel. You have only one vehicle to choose from, and it is an open-wheel formula car. Your choices are with a racing class: Beginner, Expert, and Expert (Pro). Each class provides different levels of difficulty. And of course, you select between Automatic or Manual/Standard transmission. Three tracks are available to you and are noted for their characteristics. You have a high-speed course, a semi-technical course, and a technical course. • The "High Speed course" is Serow Valley Raceway. This track is fairly simple and takes place in a futuristic setting between canyon walls. • The "Semi-Technical" course is Stream Field Circuit- the exact same course from the first "Ace Driver." So if you played the first Ace Driver, you know what to expect in this one. • The "Technical Course" is Capital City Circuit. It is a twisty and long course that winds its way around a futuristic city. Put all of your racing skills to good use trying to win here. Of the three courses, this race only lasts for two laps instead of three with the other courses. Be sure to exhibit your best skills to win each race. Counting your entry, there are six cars in each race. You can take on each race individually, or you may even try a championship style race where you must keep finishing high (or even winning) to stand the best chance of winning the championship. The side view mirrors in the HUD will flash when an opponent is coming up on you. Clear the checkpoints to gain more time. So what do you think about this game? Subscribe/Follow in some capacity if you enjoy my work and want to see more of my material. Thank you for reading! Take care and be well. John B. Marine | 2:05 PM | Other Racing Games | Reviews Be the first to comment! The future of racing is with "Ace Driver: Racing Evolution." This arcade game released in 1994 is a futuristic style racing game featuring formula race cars. Get ready for a unique blend of Grand Prix style racing with some futuristic flair with "Ace Driver: Racing Evolution!" Released in 1994 by NAMCO (now NAMCO-Bandai), "Ace Driver: Racing Evolution" lets you race on one track but with your choice of car. This is a futuristic racing game, but not entirely science fiction or anything. You must complete a three-lap race around a course that combines a permanent course and some city streets. You can play this game solo or against another human opponent for two-player racing. In a way, this game can kind of be seen as Namco's answer to SEGA's Virtua Racing, as you only race formula race cars and no soundtrack is playing through races except when passing checkpoints. All of the vehicles are open-wheel race cars. While the cars are mostly the same, you have a choice between either a Beginner Class car or an Expert Class car. The Beginner Class car features a fairly powerful and fast race car. The Expert Class car is more powerful and tougher to drive. Don't worry about damage, because there is no damage model in this game. You obviously, though, want to keep your racing mistakes to a minimum. The race lasts three or four laps long. Counting your car, a total of six cars are in the race. To extend your time, clear the checkpoints. Try to win the race to win the game! I have never played Ace Driver, so I can't review it proper. What I WILL say, though, is that it is a great looking game that delivers a very nice racing experience. Hopefully you liked this blog post. For more racing/driving game goodness from me, be sure to Subscribe/Follow my work in some capacity. Even take a look at my social media profiles to further get social with me. Thank you for reading! Take care and be well. John B. Marine | 9:54 AM | Other Racing Games | Reviews Be the first to comment! Three years after Rad Racer, Rad Racer 2 was released by Square in 1990. The challenge of full speed racing on city streets in a powerful sports car were back and with improved graphics and music. It is time once again to hit the road trying to outlast the courses and the traffic. Let's talk Rad Racer 2! Rad Racer 2 was released three years after the first Rad Racer by Square (which is now Square-Enix). Rad Racer 2 offered up the same style principles of its predecessor. However, an interesting new touch is the ability to make a rocket start. Generate enough power from a standstill to build up a rocket start. Then when the buildup is complete, take off and have a beast run off the line. Rad Racer 2 has some improved graphics and some smoother game play. You even could listen to music without having to turn it on or off during the course of the race. From a YouTube comment, I read the game's music was composed by Nobou Uematsu- the same person who made music for the Final Fantasy series. Unlike in the first Rad Racer, you have only one vehicle- your Ferrari-looking sports car. When starting up your car, you can execute a powerful turbo start. Eight more locations await you when you take on the challenge of "Rad Racer 2." Unlike the first Rad Racer, Rad Racer 2 seems firmly concentrated on mostly driving on roads in the United States. The dashboard display will let you know what turns are coming up. Though the races are point-to-point, there are "lap" times strangely. You must clear each checkpoint to have your time extended. You can coast your way to checkpoints if time expires and if you are within range of a checkpoint. If you fail to complete the course, the game is over. Rad Racer 2 offers up a different experience from the first game, but not too much different. It is still great fun to play. Something I forgot to mention in my Rad Racer 1 review is that the Rad Racer games are only one player. It will be disappointing if you were wanting to have some two-player racing or anything like that. Even still, the experience with Rad Racer 2 is still fairly good. The level of challenge is fairly decent for any gamer. If you just want a basic racing game that still doesn't require you to have finesse or skill, "Rad Racer 2" has you covered. Look Rad Racer 2 up on eBay or someplace if you want to buy this game. I hope you enjoyed your time here. All this blog is about is racing/driving games and the unique elements that make them shine. Sound cool? If so, make sure you Subscribe/Follow my blogging work so you can see more of my material in the future. Thank you for reading! Take care and be well. John B. Marine | 8:56 AM | Other Racing Games | Reviews Be the first to comment! In 1987, Square released "Rad Racer." This game had you race around the world while battling traffic and trying to clear the checkpoints in time. Easier said than done, right? Exactly. 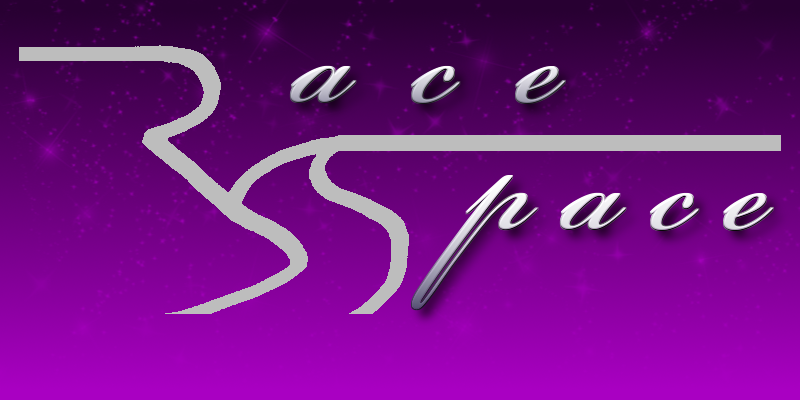 With a look at a classic NES title, I welcome you to "John's Race Space!" Rad Racer was released in 1987 by Square. Yes- the same Square that is nowadays Square-Enix. Your goal is to traverse through eight venues while avoiding commuter traffic and by clearing the checkpoints. You also have a time limit, so make sure to clear those checkpoints as quickly as possible. Can you clear all eight courses? There were versions of this game made for 3D glasses and even one for the Nintendo Power Glove. This post will just stick to the good old NES controller version. This game is for one player only, so don't expect any multiplayer madness in this one. You can choose between two vehicles. Based on my own play, the choice is merely personal preference. You can race either a sports car that resembles the Ferrari 288 GTO (called the "328 Twin Turbo"), or you can race a formula racing car that resembles of the Lotus-Honda Formula 1 cars of the mid-1980s (called the "F1 Machine"). You start off in a low gear when accelerating. Just make sure to go to your high gear when you get enough speed going. After that, you have a turbo that seems infinite as long as you are in your high gear and have generated enough speed. Don't want to listen to silence? You can turn on the radio by pressing Up (or Down as well?) and listen to one of the game's three different songs. The eight locations in Rad Racer feature eight different international locations. You get a general idea of what each location resembles once you encounter them. For example, the fourth stage ("Ruins of Athens") has you driving around Athens, Greece (obviously not Athens, Georgia, USA). Each track has commuter traffic you must try to avoid as well as objects on the outer sides of the road. Collide with those outside objects, and you will suffer a serious crash. What you obviously want to do is clear each checkpoint as quickly as you can. When time runs out, you can still make any checkpoints you haven't cleared! You can still reach an upcoming checkpoint by simply coasting to it if within reach of one. If you crash your car and time runs out, forget about it. If you want to buy this game, you can probably look around on eBay or something. That's all for this one. I hope you have a great day/night. Thank you for reading! Take care and be well. John B. Marine | 9:50 AM | Other Racing Games | Reviews Be the first to comment! #BeamNG is a driving simulator that is the evolution of "Rigs of Rods." You can do almost anything operating vehicles- even (especially) crashing. The soft body physics makes wrecks as brutal as brutal can get. Many people have dared take on their creations and make them available in the wild world of BeamNG.Drive. No matter what gets you even interested in this game, you know you are in for a wild ride when you take on the world of BeamNG.Drive. And so for this post, I will offer some general thoughts in regards to BeamNG.Drive in this blog post on "John's Race Space." "BeamNG.Drive" is currently an Early Access title, so this is not a proper review of the game. It will instead be a collection of impressions of mine in regards to this game. The version of "BeamNG.Drive" as of the time of this initial blog post is Alpha v0.14.0.4, which is what this blog post is based on. "BeamNG.Drive" (NG stands for "Next Generation") is a driving simulator that allows you to go almost anywhere and do almost anything related to operating vehicles. Its history dates back to about 2013. It builds upon the modding and physics abilities of "Rigs of Rods" to include many more kinds of vehicles. Maps you can access in this game are expansive. There are no goals for you to accomplish in this game. For the most part, this game is a sandbox of doing almost anything that involves operating a vehicle. Feeling like taking on challenges? "BeamNG Drive" features some driving scenarios for various maps. Do not, however, expect these to be anything easy. Just like "Rigs of Rods" had a healthy and active community for modding, the same applies for "BeamNG.Drive" If anything, "BeamNG.Drive" is better catered towards a variety of vehicles instead of "Rigs of Rods" seemingly more catered towards heavy vehicles than average automobiles. I was drawn into the appeal of "BeamNG.Drive" when I learned you could take creations from "Automation: The Car Company Tycoon Game" and be able to drive them in "BeamNG.Drive." And of course... be able to wreck those creations to your heart's content. I have also seen a lot of videos on "BeamNG.Drive" featuring various brutal crashes and unique challenges. Not every PC can readily handle "BeamNG.Drive." You can scale down a lot of options to ensure you can play the game. The game can still be enjoyed even if you don't fully meet the requirements for it. Even as a last resort- you can disable crash physics to improve game performance! To a lot of people, this is a foolish thing to do because "BeamNG.Drive" is all about wrecking cars to most people. "BeamNG.Drive" is a driving simulator at heart. Maybe not driving sim levels of rFactor or Assetto Corsa, but still fairly realistic for the most part. So even if you disable crash physics, it still doesn't take away from "BeamNG.Drive" being a solid simulator for driving. In some respects, "BeamNG.Drive" can be thought of more like "Hard Drivin'" or "Race Drivin'" in the sense of driving simulators that have a variety of stunt track elements. Maybe these games were an inspiration of making this game. After having played a good bit of "BeamNG.Drive," I can go ahead and offer up some thoughts on it in case you want to enter the realm of this game. So please feel free to read the next section. There is a lot to do in "BeamNG.Drive!" Despite this, let me sort of guide you in the right direction in regards to playing this game. • Try the Campaigns to take on a series of challenges. Complete all events in the Campaign them all to win! The Campaigns are more like championships and stories. • If you want to take on driving missions, try the different Scenarios. The Scenarios range from individual driving missions to races. • Do the Freeroam to drive around any map In any vehicle(s). • Perform a Time Trial to take on any course with any vehicle. • Can you properly take people around on Bus Routes? Try the Bus Routes mode. Select a bus, a map, a route, and you're set! • Later builds of "BeamNG.Drive" allows you to run a mode called "Light Runner." I know very little about this mode except that you are racing neon-style cars around a track in a futuristic setting. As of the time of this initial blog post (December 11, 2018), the game has a "Career" option, but it is coming soon to "BeamNG.Drive." You can operate any number of vehicles in "BeamNG.Drive." Vehicles ranging from compact cars to exotics and race cars can be driven as hard as you like across any such map. None of the default vehicles are licensed. The default vehicle you start off with is a basic Gavril D-Series D15 V8 4WD (A) pickup truck. This truck is more than suitable to take on on-road and off-road duties. Though if you want something more capable, try some of the other D-Series trucks or maybe even a totally different automobile. You can filter all of the different vehicles by drivetrain or certain other specifications. One thing to note is that this game is different with AWD and 4X4. AWD is more like for your rally cars or high-performance road cars. Vehicles with 4X4 are great for rock climbing and serious off-roading. Other factors, such as transmission type, weight, nationality, value, and more can be used to further filter your vehicle choices. The models themselves even come in various trim levels. These include normal models, tuned models, and even racing variants. It goes without saying that there should be no problem finding any vehicle to use in "BeamNG.Drive." A vehicle used can be replaced, or you can place in extra vehicles to use instead or even apply AI to extra vehicles. You can use the Garage to even customize some of the vehicles in your BeamNG.drive collection. You can even remove certain elements on a vehicle to affect the performance and look of your vehicles. For example, removing a rear racing wing of a car will greatly affect the rear-end downforce of a vehicle. Make these modifications carefully and be mindful of what can happen to your vehicle with certain modifications. Of course, if you are not truly satisfied with what "BeamNG.Drive" offers by default, you can always download more vehicles and even make your own. The latter, though, can be a quite tedious process to make new vehicles. Thankfully BeamNG.Drive's home page has a Wiki that instructs you on how to design your own vehicles from start to finish. So be sure to visit the game's official website for more details on this. • Try the "Grid, Small, Pure" map to test out the basic performance aspects of your vehicle. There are no obstacles around (unless you place some in, of course), so feel free to use the seemingly unlimited space to do any kind of vehicular madness you so crave. • A map you can use as a baseline for game performance and car performance is the Gridmap. This map allows you to drive around a course with a handful of obstacles to test out the performance of your car and even opportunities to wreck your vehicle. • If you crave a true off-road adventure, try the Utah maps. Utah allows for rally racing and even rock climbing. Use this rocky setting to fulfill your off-road desires or even to go full speed on the dirty tarmac. • Visit the "Automation Test Track" to race a 3D representation of the test track used in "Automation: The Car Company Tycoon Game." If you have any creations you ported from Automation to BeamNG, you can drive and race those creations proper on this map. • Visit "East Coast, USA" to race on mostly tarmac roads with forest areas and small villages. • Try out "West Coast, USA" to race on a variety of locations ranging from urban locales to some interesting on-road and off-road locations. This is one of the largest and most diverse maps in the game. Be warned that some maps can be massive. Therefore, some of the maps may take even a few minutes to fully load the entire landscape and all the different objects that come with the map. Visit the Repository to download individual mods to enhance your "BeamNG.Drive" experience. You can even download Automation creations made for "BeamNG.Drive" from the Repository as well. These are all to help you get started with "BeamNG.Drive." Allow me to share some general thoughts on this game. As far as driving is concerned, do not look to "BeamNG.Drive" to replace rFactor or Assetto Corsa. However, it still has a good sense of simulation in driving. You actually can have simulations of tire wear and loss of traction. This game even has some simulations such as a loss of horsepower at higher elevations. Certain vehicles even have certain modes. For example, you can make some adjustments if you have a 4X4 type vehicle. You can even toggle driver aids and such while driving. "BeamNG.Drive" is a driving simulator while also being a great crash simulator. The crash physics can be quite insane. You could literally turn almost any vehicle into a metallic pancake considering how hard you can wreck these machines. The soft body physics were what made "Rigs of Rods" such a respected game even before "BeamNG.Drive" came along. I'll tell you this much- if you're a fan of the Burnout games, the crashes in this game are much more serious and much more realistic than in the Burnout games. The maps can be massive in this game. This means you can do many things in one map. It can also, however, be too massive on your PC if it isn't up to snuff. If you can't take the massive and detailed maps, you may have to stick to either the "Grid, Small, Pure" map and do your driving madness there. I like how you can modify some vehicles to offer different performance characteristics. The variety of automobiles are also great. Individual vehicles have multiple variations to offer different levels of driving. You can even click on parts of your vehicle with your mouse to do things like roll a car back onto its wheels after rolling over. You will be kept busy for sure. You can drive/fly using your keyboard, a gamepad, or even a steering wheel. Try a different variety of vehicles as well as different configurations of the same vehicle. I have not attempted yet to make a car in "Automation: The Real Car Company Tycoon Game" and then drive it in "BeamNG.Drive." So I can't comment on this aspect of the game. I will let you know if I do attempt this, though. Hopefully this gives you a little perspective on BeamNG. I think "BeamNG.Drive" is only going to get better once it no longer becomes Early Access or when the final Beta drops. While the game is known for its crashing, the driving dynamics are pretty good also. I still say you are better served with a proper driving sim if you want incredible physics for dedicated racing and driving games (like Assetto Corsa). Still, "BeamNG.Drive" is to be respected as an overall driving game rather than just a crashing game, though crashing your vehicles is just as appealing. This is a game you can appreciate if you are moving on from "Rigs of Rods" or if you plan on making a car from "Automation: The Car Company Tycoon Game" to play in "BeamNG.Drive." You have your options, but this game is fairly solid if your PC can handle it (even on the lowest settings). BeamNG.Drive is trying to be your general driving simulator. What adventures will YOU take part in with this game? Visit www.beamng.com to learn more about "BeamNG.Drive." The site features a free tech demo so you can play-test the game in an older build to see if your PC can handle it. Visit the site also to buy this game on Steam. I hope this post was to your liking. If so, feel free to Subscribe/Follow for the latest posts of mine! Do so for my other blogs if my content interests you equally. Your comments are always welcome. But remember- spam and other suspicious posts will not be tolerated. So think before you comment. Thank you for reading! Take care and be well.